Both Spain & Portugal love their sangria … and it’s become a favourite drink of mine, too! 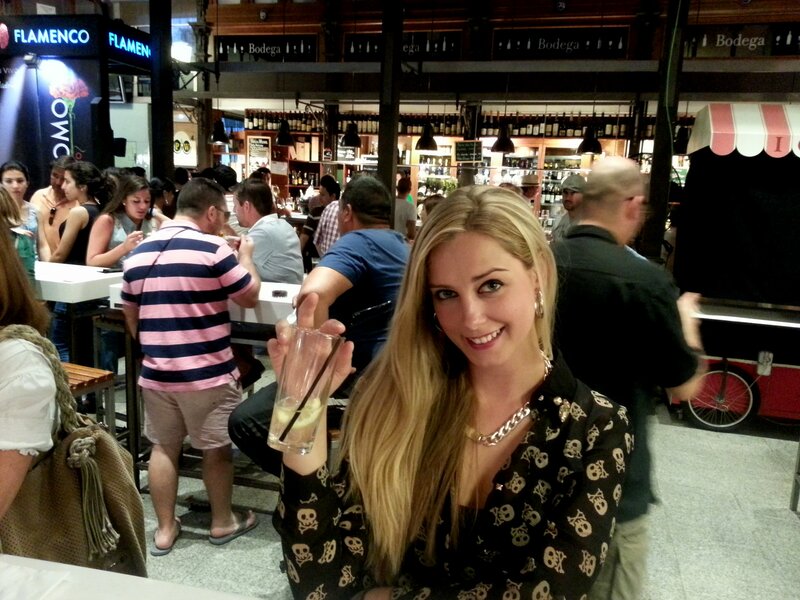 We sampled sangria on the streets of Madrid, Toledo, Lisbon, Sintra & Cascais. The best I had was in Madrid, Spain, at El Mercado de San Miguel (nice drink to go with paella) It can be made very simply and it tastes similar to gluhwein… you serve it traditionally in a big jug filled with slices of orange. Here is a fantastic recipe I found… make it at home, you won’t be disappointed! In a large pitcher or bowl, mix together the brandy, lemon juice, lemonade concentrate, orange juice, red wine, triple sec, and sugar. Float slices of lemon, orange and lime, and maraschino cherries in the mixture. Refrigerate overnight for best flavour. For a fizzy sangria, add club soda just before serving. ← Ten Good spots in Madrid for the Tourist!